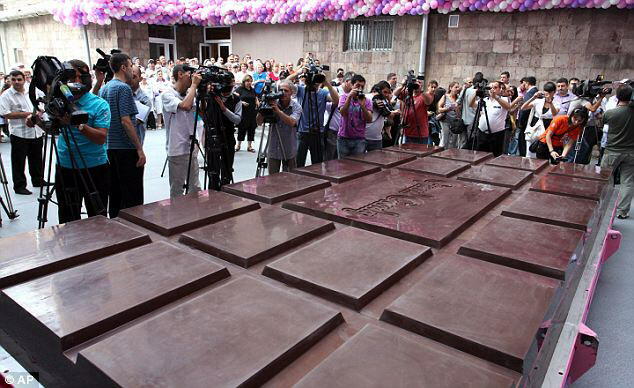 And the country with the world's biggest chocolate bar is ... Armenia! 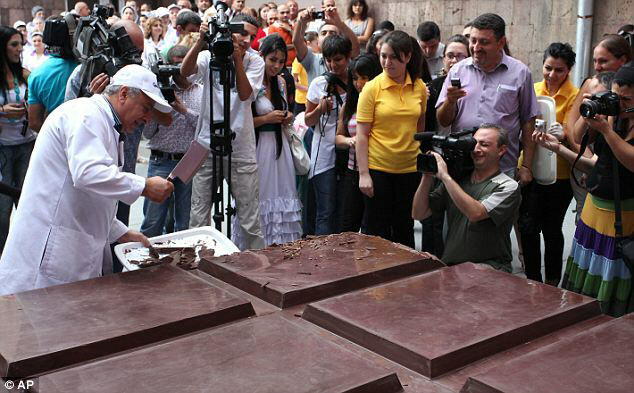 When one thinks of the world centers in the art of chocolate-making the countries that spring to mind are Belgium and Switzerland. 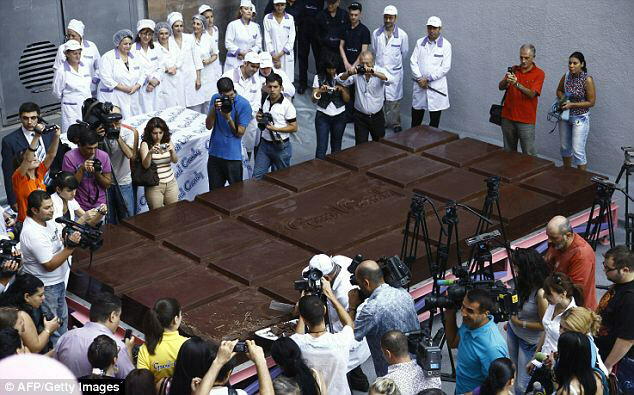 The tiny country sandwiched between Turkey, Azerbaijan, Iran and Georgia has just produced the world's biggest chocolate bar. Guinness World Record's representative Elizabeth Smith presented the factory owner Karen Vardanyan with an official certificate during a ceremony today. She said she was glad to witness what she described as an 'incredible event'.